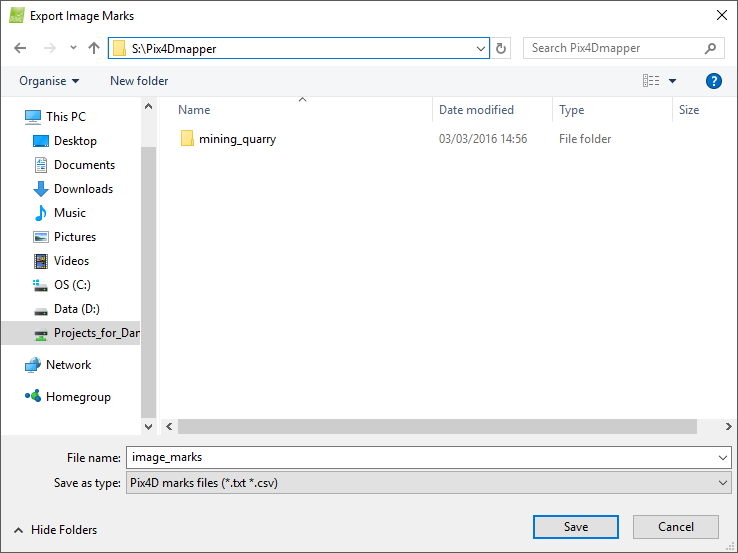 Pix4Dmapper can import a file with the image coordinates of the GCPs / MTPs. For more information about the file format: Input files. Warning: The zoom level at which GCPs / MTPs are marked has an impact on the GCP / MTP error obtained in the Quality Report. Usually the higher the zoom level, the more precisely the GCP / MTP is marked. These GCPs / MTPs will have a bigger impact on the reconstructed model than GCPs / MTPs marked on a lower zoom level; lower error values are also expected for these GCPs / MTPs. For example, when GCPs / MTPs are marked without zooming into the images, the GCP / MTP error can be 10 times higher than when the GCPs / MTPs are marked by zooming into the images. Navigation menu, to select the location to store the file. On File name, type the name of the file. Pix4D marks files (*.txt, *.csv): Input files. Bingo text file (*.txt): Input files. XML structure (*.xml): Input files. Cancel: Does not save the file and exits the pop-up. 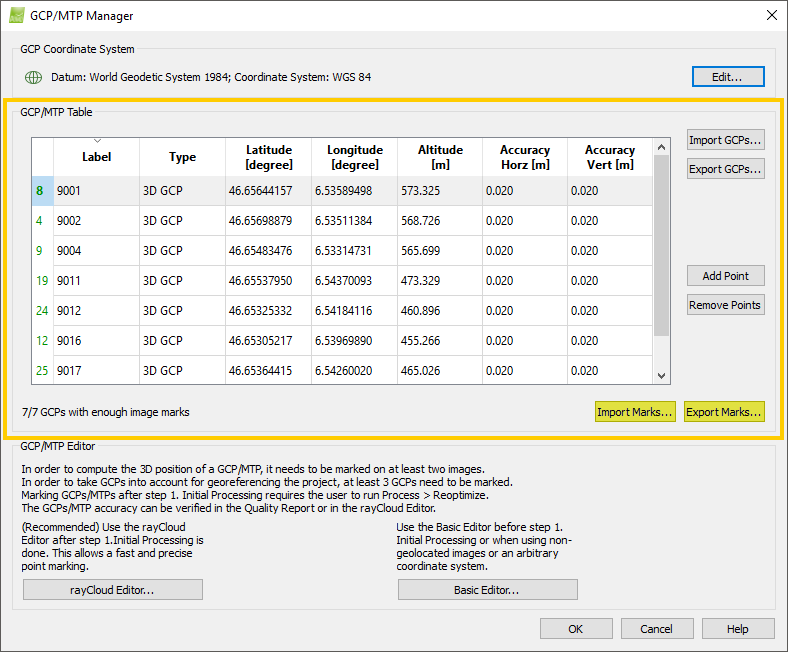 Once the GCPs / MTPs are marked on the images, Pix4Dmapper can export the image coordinates of the GCPs / MTPs. This option allows the user to use the same GCPs / MTPs with the same images the next time the project has to be processed (e.g. merging with another project, adding new images to the current project) without having to manually mark the GCPs / MTPs again. Warning: The zoom level at which GCPs / MTPs are marked has an impact on the GCP / MTP error obtained in the Quality Report. Usually the higher the zoom level, the more precisely the GCP / MTP is marked. These GCPs / MTPs will have a bigger impact on the reconstructed model than GCPs marked on a lower zoom level; lower error values are also expected for these GCPs / MTPs. For example, when GCPs / MTPs are marked without zooming into the images, the GCP / MTP error can be 10 times higher than when the GCPs / MTPs are marked by zooming into the images. 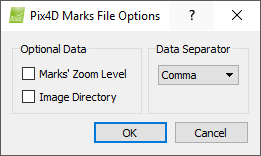 Marks's Zoom Level check box: Exports the zoom level at which the GCPs / MTPs are marked on the images. 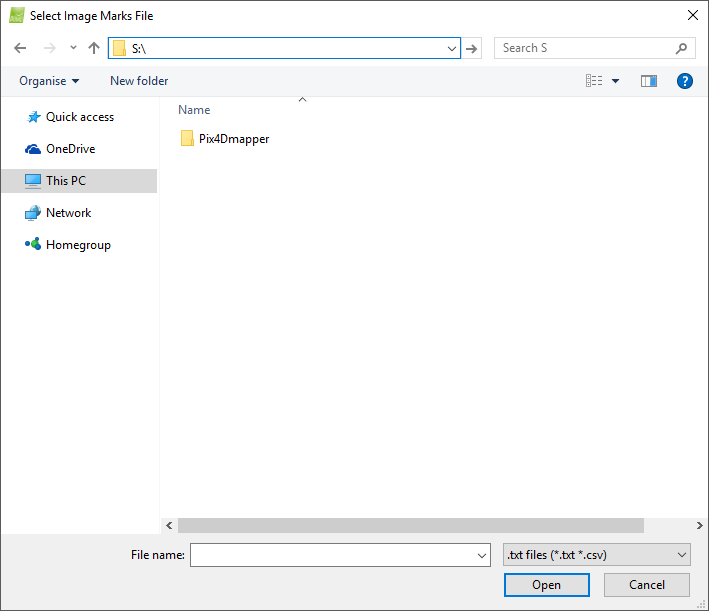 Image Directory check box: Exports the directory of the images. For step by step instructions about how to export the marks of the GCPs / MTPs: How to export the marks of GCPs/Manual Tie Points in the GCP/MTP Manager.